Your roof is one of the most important parts of your home, but how do you know when to replace your roof? Unless you keep a ladder nearby for weekly viewings, we’re guessing it’s been a long time since you checked on the condition of your roof. While there’s no need to look at it regularly, It is important to know the warning signs of a failing roof. Shingles that look curled or cracked are nearing the end of their lifespan. If you can see a fair amount of curled or cracked shingles, you’re better off replacing your roof than trying to repair shingles as they curl up. 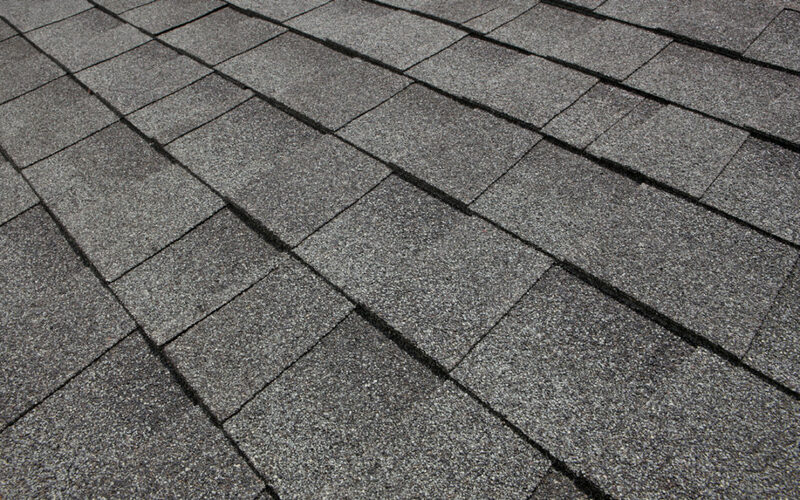 Curled shingles can also be a sign of environmental damages such as excessive heat or wind and ice. Shingles exposed to harsh weather over time become rigid and can snap off and fly away. To ensure your roof doesn’t fly away with them, have an expert come out and assess the situation. Roofs are designed to keep water flowing down and away from your home. If any of your shingles look dark or discolored this could be due to water being trapped under or around them. Keep in mind that the discolored shingle is not always the offending shingle. The issue is likely higher up the roof and is causing water to run down and pool in a specific spot. If your roof is missing any amount of shingles, this can lead to a weaker roof over time. Shingles protect your roof and help shed water. Broken or missing shingles leave vulnerable entry points for water which can lead to bigger issues than just a roof replacement. Just like broken and missing shingles, buckling shingles are highly susceptible to wind and ice damage and can be torn off easily. How can you tell if you have buckling shingles? You’ll notice a wavy distortion that usually runs vertically up the roof slope. Wet or poorly installed underlayment can cause buckling shingles. Do you have an odd amount of what looks like coarse black sand in your gutters? Those are actually granules from your worn out shingles. Composite or asphalt shingles shed their granules when they start to age and those granules eventually end up in your gutters. 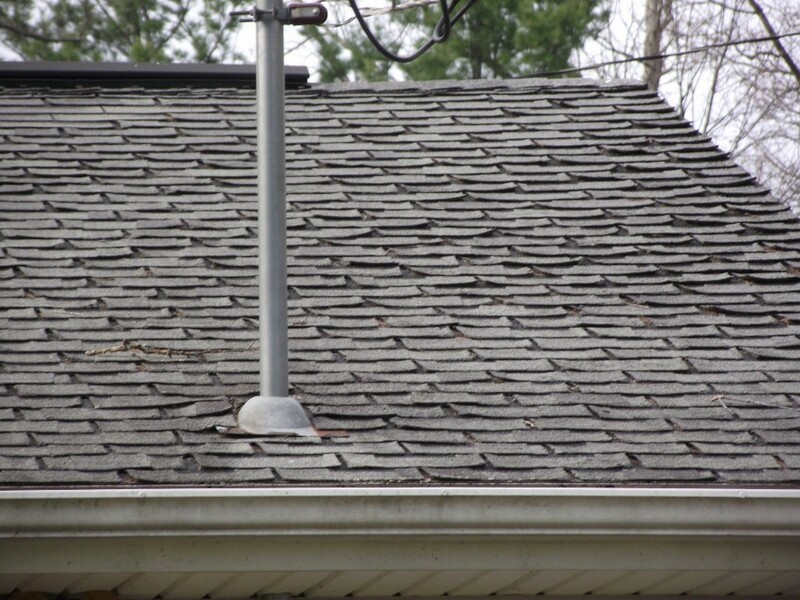 An older roof will naturally start shedding granules, however, if your newer roof is shedding this is likely due to physical damage on the roof (think falling tree branches or a very large raccoon). When the protective granules of a shingle are lost, the shingle begins to harden from heat and sun exposure. This loss will speed up the aging process and can create water entry points. Water stains or discoloration on walls or ceilings can be caused by many different things, but one of the most common reasons is a leaking roof. Specifically, your roof’s underlayment might be allowing moisture into your home which leads to these stains. If your underlayment is the cause of these stains you will most likely have to replace your roof. If you notice water or light in your attic that is not normally there, your roof could be to blame. If there are leaks in your attic, it might be as simple as replacing some flashing. If the leaks continue, the issue could be bigger. When in doubt, have a professional come out and investigate it. The sooner the issue is found, the easier the solution will be. If you notice streams or beams of light coming through that weren’t there before, you most likely have a roof issue. If light can get in, water can too. Check your shingles as this could be the result of lost or damaged shingles on your roof. You should also pay attention to the decking or rafters in your attic. If you find they are sagging downward instead of remaining straight, this may be due to leaks causing the rafters to absorb water. If the issue is specific to the rafters you maybe be able to avoid a complete replacement and instead fix the one problem. A spike in your heating or air conditioning costs could be due to air leaking out through your roof. This is a ventilation issue that needs to be corrected, not only to lower your bill but to remain comfortable in your home. Your bill should return back to normal once the issue has been dealt with. These 7 signs that you need to replace your roof are the most common, though there are others. The most important thing you can do is catch these signs early and replace your roof before you have leaks. Since even small leaks can cause so much damage, this will save you a lot of money in the long run. Talk to a Metal Roof Canada Representative to discover the benefits of investing in a metal roof versus a traditional shingle roof 514-507-3332.